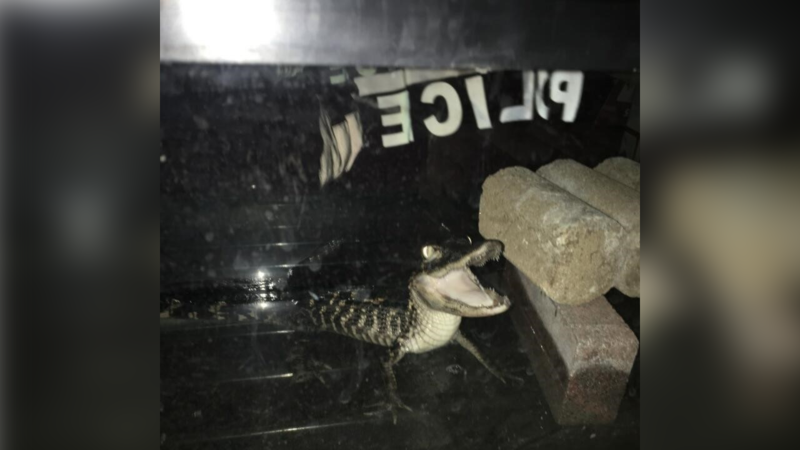 NEW YORK (WABC) -- Police executing a search warrant on a Brooklyn apartment discovered a caiman, a large South American reptile. The animal was kept in a tank in the living room of the apartment at 21 East 21st Street, according to the NYPD. Officers also recovered a loaded .380 semi-automatic handgun and a quantity of crack cocaine. They arrested 41-year-old Habakkuk Tracey on charges of criminal possession of a controlled substance, criminal possession of a loaded firearm, and wild animal prohibited. The caiman is a large aquatic reptile found in the swamps and tropical rivers that cover Central and South America. They are most closely related to alligators and crocodiles.